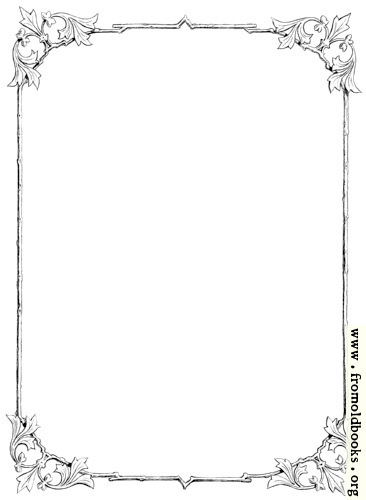 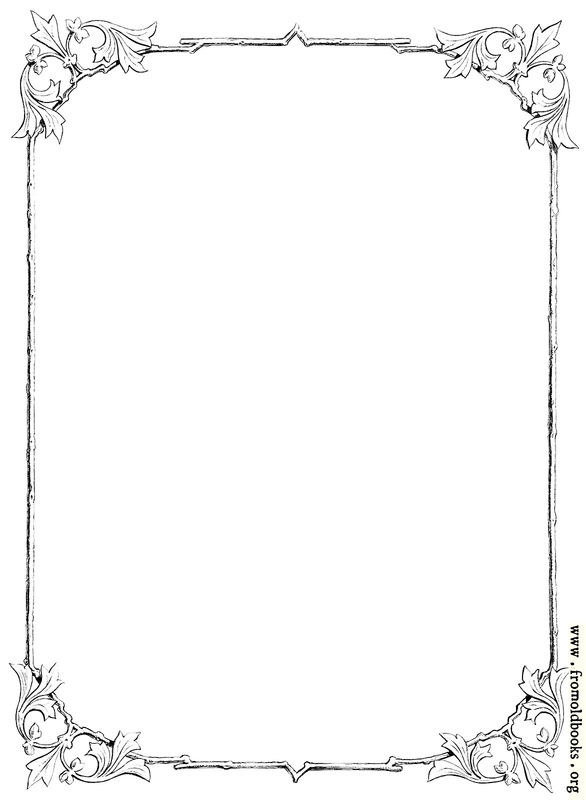 This full-page border features rustic twigs and stylized acanthus leaves at the corners. 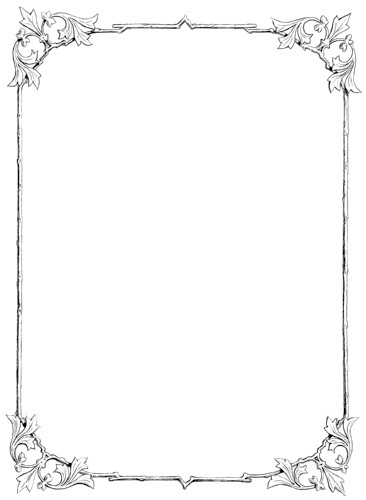 It was used to frame portraits of the Victorian Royal Family. 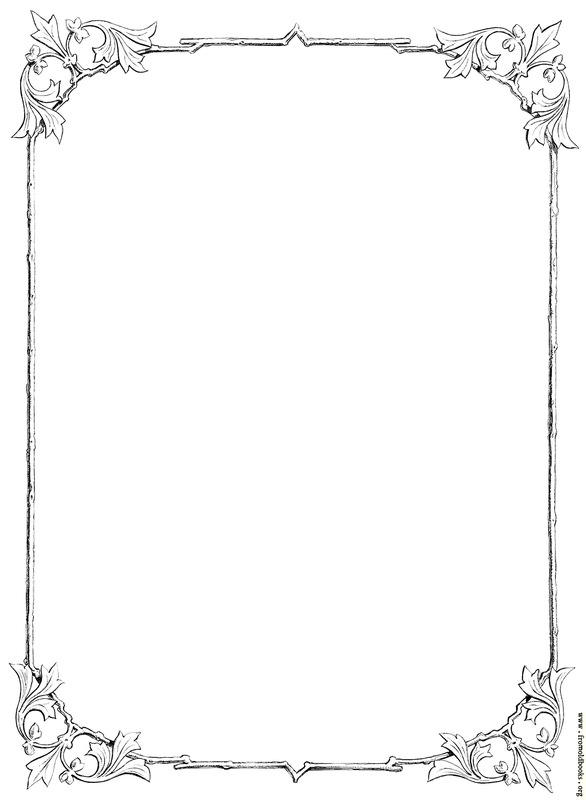 There is also a landscape or sideways version of this border.